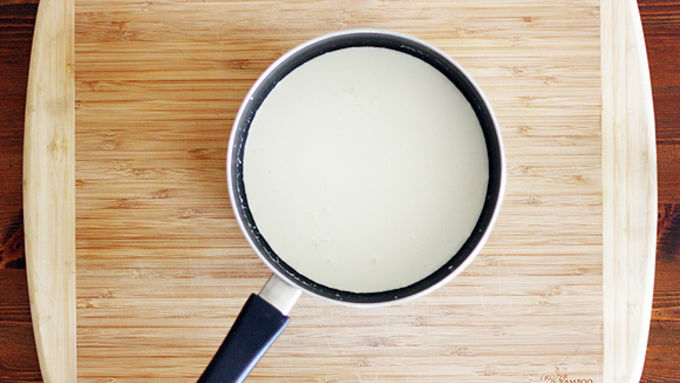 In a medium saucepan over medium heat, heat milk, half and half and heavy cream until scalding (or until small bubbles form on top). Whisk egg yolks in a large bowl. 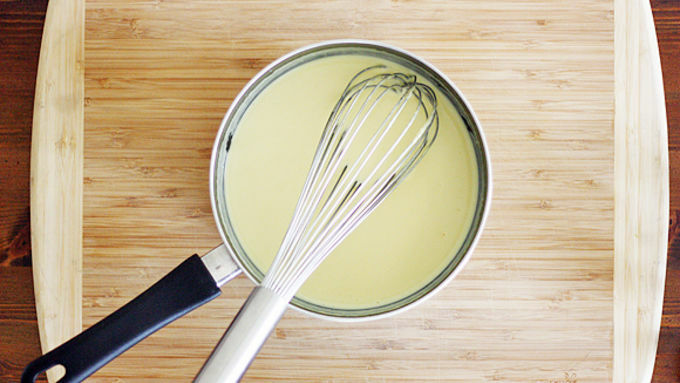 Remove milk mixture from heat; while whisking constantly, very slowly add milk mixture to egg yolks. When milk mixture and egg yolks are fully incorporated, return to saucepan and whisk over low heat until thickened, about 5 minutes. Remove mixture from heat; whisk in chocolate chips, raspberry extract and salt until smooth. Divide mixture among 4 to 6 4-oz ramekins (depending on how big you want your servings). Refrigerate until set, about 4 hours. Meanwhile, make the whipped cream: Blend frozen raspberries in a food processor until a puree forms. Transfer to a bowl and stir in sugar; set aside. In the bowl of a stand mixer, whisk heavy cream on high speed until stiff peaks form. 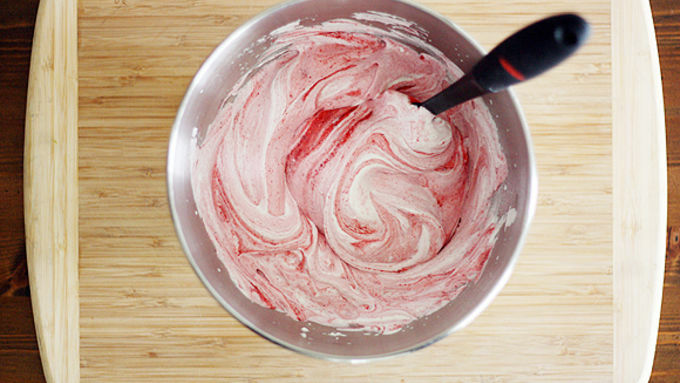 Fold in raspberry mixture. Top pots de creme with whipped cream just before serving. Mama’s Day is just around the corner, y’all… do you know how you’re going to show your mom how much you care about her? If you don’t, I’ll give you a hint: Chocolate. 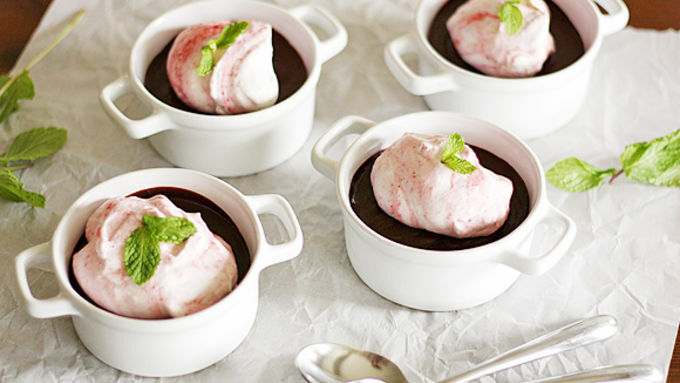 And if you really want to go all in – or if you’re in serious need of brownie points – I’ll give you another hint: Chocolate-Raspberry Pots de Crème. Bonus? This recipe makes more than one serving, so you can have one, too. You’re welcome. 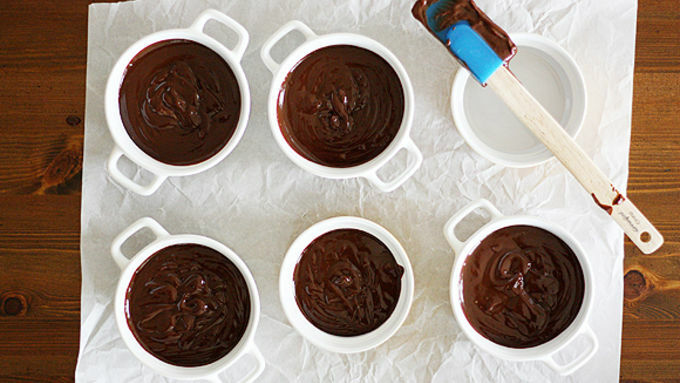 Now that we’ve got that figured out, let’s make some chocolatey deliciousness! 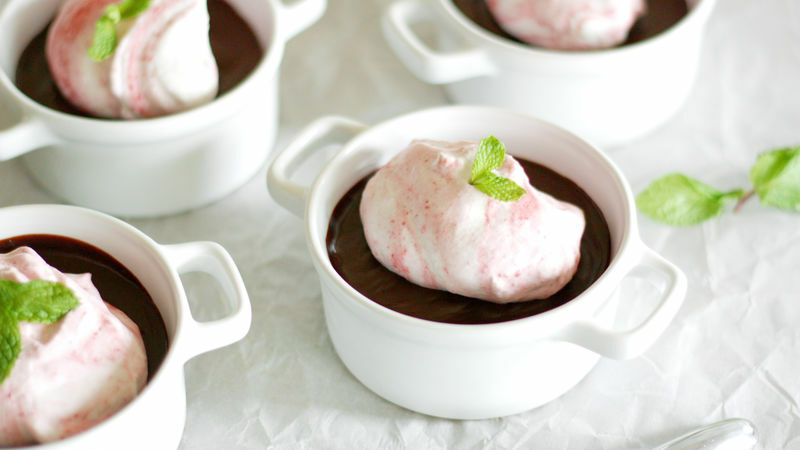 Heavy cream, chocolate, and raspberries? You can't go wrong with this dessert.